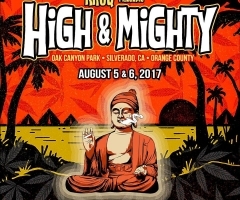 Last weekend, on August 5th and 6th, KLOS presented the very first annual High & Mighty Fest in sunny Garden Grove, California. 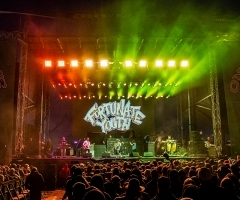 The line-up consisted of a perfect combination of some of the most talented reggae, rock, and hip-hop artists. 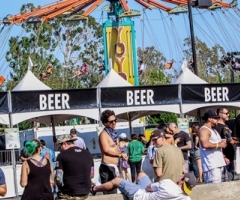 However, this festival had a lot more to offer than just a great weekend of music: unlimited craft beer tastings were offered for FREE, as well as a carnival ride and a vendor village filled with tasty food, original art and clothing. This festival had a little something for everyone! For the first year of a festival, the High & Mighty Festival definitely exceeded expectations. Day One consisted mostly of bands from the reggae-rock genre, with the exception of NOAHJVMES, Katastro, and King Lil G. These artists diverted from the rest of the performances that day with their influences of rap and hip-hop beats. The up and coming band, Tyrone's Jacket, took the stage after NOAHJVMES and impressed the crowd with their funky electric style of mixing hip-hop, reggae, and rock. They are definitely a band that has been – and will continue to be – on the rise within the music scene. Roots reggae band, Iya Terra was the next band we were able to catch. For me, their set is always one of the most anticipated, and as I watched the crowd grow as the band played, I could tell the audience felt the same way. It was a treat to watch the crowd sing along to so many of the band’s inspiring lyrics. Many of us know the band Magic! from their hit song "Rude" that rotated the radio stations in recent months. Secretly, that's the only reason I went to catch their set, but I found myself pleasantly surprised by their stage presence and collection of other songs that were all feel-good, catchy, and easy to groove to. As the sun began to set and the day finally started to cool down, Stick Figure came onstage to keep the vibes alive. They definitely had the biggest crowd of the day, and the energy could be felt all the way from backstage. As they closed the set with their song "Smokin' Love" they brought Iya Terra lead singer Nathan Feinstein back out to join them for a verse, as well as Seedless lead singer, Mathew Liufau. Heavy-hitters SOJA came out and rocked the stage next, followed by headliners Sublime With Rome. SWR had the crowd chanting along to classic Sublime songs like "Smoke Two Joints" and "Wrong Way", closing out Day One of the High & Mighty Fest in high spirits – both literally and figuratively. Rapper Know-Madik started off Day Two by setting the perfect vibe for the rest of the day, which happened to be heavily packed with more hip-hop and rap artists. But first, Pacific Dub followed by Ballyhoo! blessed the stage with their surf-rock sounds. Other hip-hop artists from the day included Murs, Chief Keef and legend Tech N9ne alongside Kansas City cohort Krizz Kaliko. Considering I had never seen Tech N9ne live, but have listened to him for years, I was especially excited to catch his set. And, his and Kaliko’s performance definitely did not disappoint! From their outfits to their choreography to their interaction with the audience, Tech N9ne and company was everything I had hoped for! The diversity of this festival made it that much more enjoyable. Soon after Tech finished his set, roots reggae band Tribal Seeds started in with their catchy riddims and powerful horn section. The line-up went right back to hip-hop when Jurassic 5 came out to take the crowd back to the 90’s with their old-school vibe. 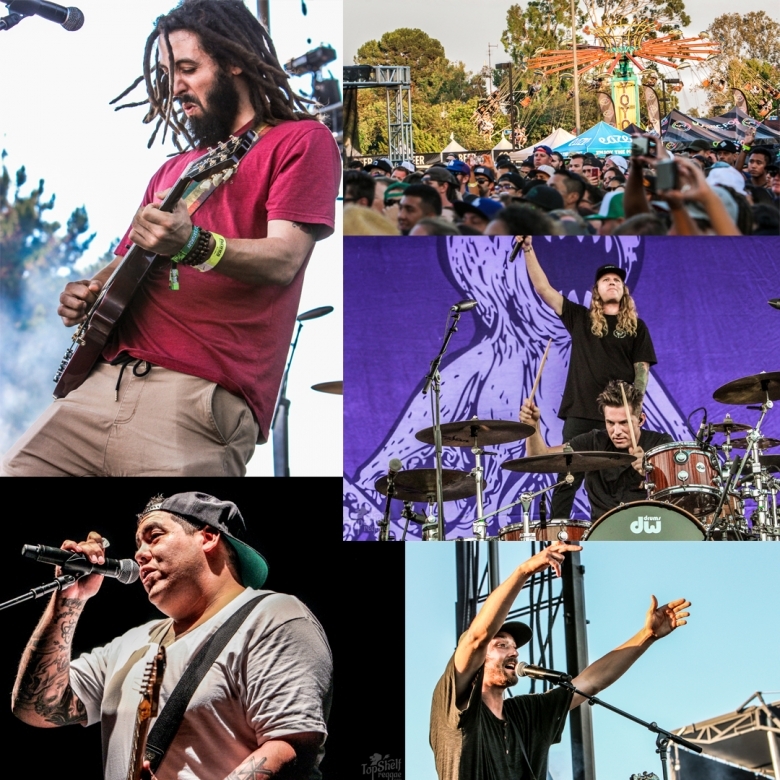 With all the different types of genres from the weekend, it was a no-brainer that Dirty Heads would be headlining Day Two of the festival – especially, since it was their party! The band embodies almost all the different genres of music that was heard throughout the weekend into their hour and a half long set. They even invited the one and only Mr. Belding from the 80’s sitcom Saved By The Bell to join them onstage for their new single “Vacation”, which made for an extra special performance! For the first year of a festival, the High & Mighty Festival definitely exceeded expectations. The weekend was full of positive vibes, friendly faces, and perfect weather. 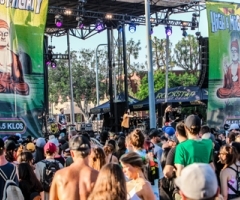 Top Shelf Reggae is excited to see how this festival grows, and looking forward to next year!